A good set of car lights is essential for any driver. It’s practically mandated by law for you to have functional car lights for the safety of everyone on the road. These should help you see in varying conditions, and also be seen by other cars or pedestrians. 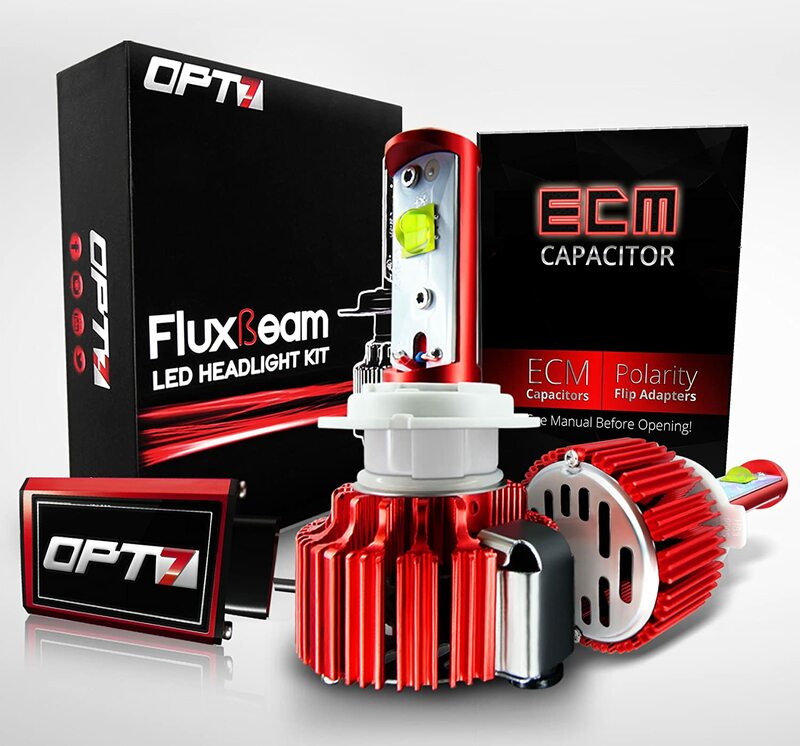 The OPT7 Fluxbeam LED Headlight Kit boasts an Advanced Bright LED Board. It guarantees zero dark spots thanks to the dense light pattern that it provides. It also has OPT7’s Redline Driver technology that promises to optimize protection against heat, power efficiency, and brightness. 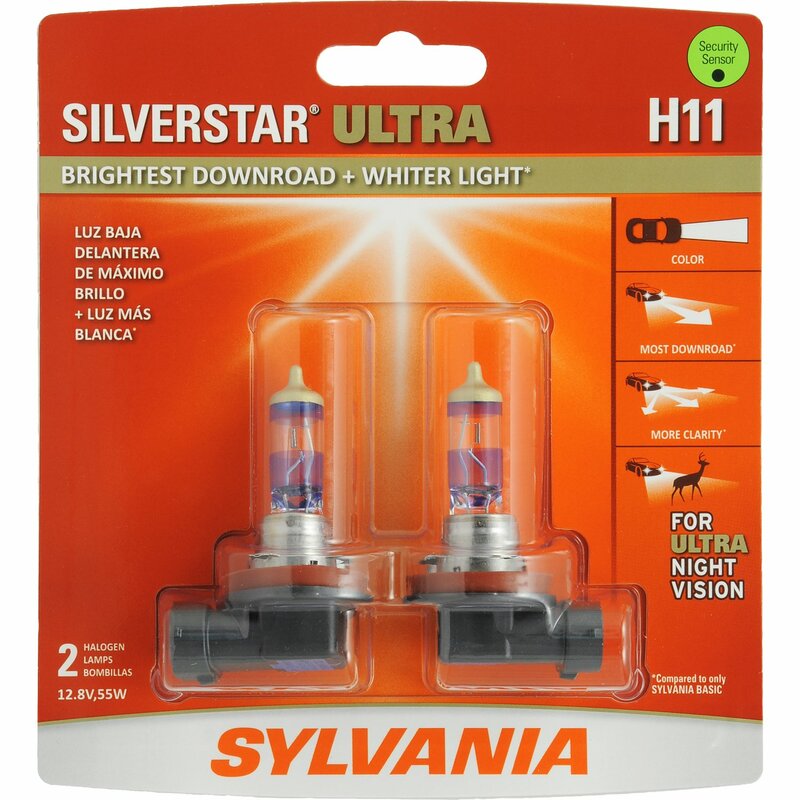 These halogen headlight bulbs from Sylvania are designed to be a bright, white light that will make nighttime driving safer. It’s a download light, so rest assured that it wouldn't bother other people due to glare. It also offers more sideroad visibility to increase your field of vision during night time. 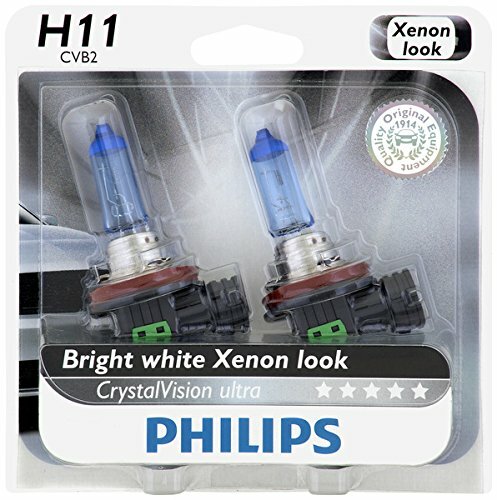 These H11 bulbs from CrystalVision have a color temperature of 4000K. These are bright white. These particular brand of headlights also boast a blue effect seen during the daytime. 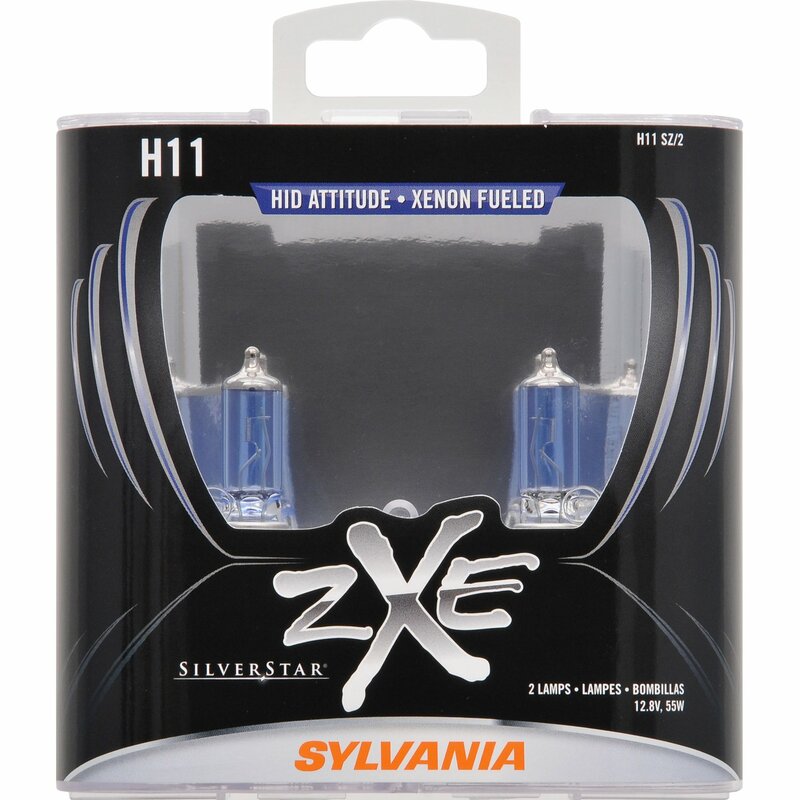 These halogen bulbs from Sylvania promise a white light that imitates the feel of HID. It has a shimmer that is guaranteed to grab attention in a right way. This is thanks to the mirror tip coating. The lighting is crisp and gives amazingly white illumination. 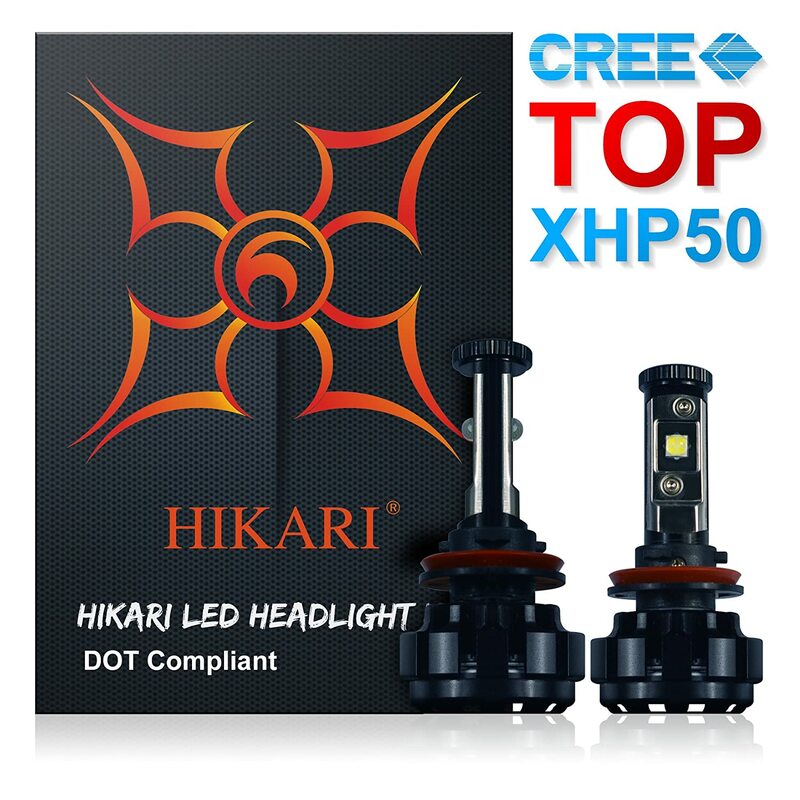 These headlights from HIKARI are down-road headlights that ensure a full field of vision, letting you see farther. It’s also made out of special aluminum alloy. These bulbs have a color temperature of 6000K, so they’re a brighter and cooler white than most headlights. This color temperature is typically only seen in LED lights. The lights measure 9600 lm. It also has a 2-year warranty for worry-free usage. An H11 is a type of bulb mainly used in either the headlights or the fog lights. For the headlights, it can be either high beam or low beam. H11 bulbs can also come in three standard types, namely halogen, HID, and LED. Color temperature is measured in K, or Kelvins. The lower the K, the more yellowish the light is and conversely, the higher the K, the bluer it becomes. Headlights range from 3200 K to 6000 K. At 3200 K, it still has a yellowish tinge, and at 6000 K, the light is almost pure white. Intensity is measured by lm or lumens. The higher the lumens, the brighter the light. Of course, brighter is better, but you shouldn’t also be too ambitious when looking for headlights. Make sure you’re buying a street-legal headlight. If the light is too bright and it shines on another driver or passenger, it becomes dangerous. It leaves them open to accidents since they can’t respond as quickly due to the shock caused by the light. What are the different kinds of H11 lights? These are the most common kinds of bulbs used for car lights. They’re the successor to incandescent lights. They are quite cheap, relatively bright, and easily replaceable. They’re also really easy to install, which is a big plus. On the downside, the light color they emit is on the warmer side, capping at 5000K. Also, they burn out faster. They have an estimated lifespan of 400 hours. Depending on how often you would use them, they typically last a year on most people. HID, or High-Intensity Discharge, lights are brighter than halogens and are typically called “Xenon” bulbs in the market. These cap at 6000K, producing a whiter light and last roughly six times longer than halogen bulbs. The kind of light it produces is more on the bluish-white side. This comes in handy as it can go further than more yellowish lights. This means your field of vision on the road is significantly increased. On the downside, it takes a while for it to brighten up to its maximum capacity when you first turn it on. You can’t use these to turn your lights on and off quickly. It also gives a lot of glare which can hurt your and other people’s eyesight. These are newer kinds of bulbs. LEDs are powerful and emit more of a bluish-white light just like HIDs. They last twice as long as HID lamps, or twelve times longer than halogens. They’re very energy efficient, and you can switch them on or off quickly unlike HIDs. The downside to LEDs is that they heat up much, much faster than the other kinds of bulbs. To counteract this, manufacturers include a cooling fan to help combat overheating. However, this also means the price shoots up making this a less affordable option. Where can I put my H11 lights? This is where they’re commonly placed. Headlights are separated into the low beam and high beam. Low beams are used when there are other cars, and you need to light up what’s in front of you. They provide light laterally, so there’s no glare towards other drivers. Normally, your headlights should be able to cut through the mist, rain, and other conditions. When they simply aren’t enough, we turn to fog lights to get the job done. It works by not refracting the light on the fog towards you, causing glare. These are typically set lower than headlights. Furthermore, you should only use these in thick mists or in conditions where lights are not efficient. The OPT7 Fluxbeam LED Headlights win by a close margin. It’s LED so compared to halogen and other lights, they have a longer lifespan and emit a cooler color. It’s very durable and has technology that protects it from overheating. The 2-year warranty is also a welcome addition. The HIKARI LED Headlight Bulbs were also a real competitor. However, the fact that it heats up too easily becomes a problem. This is probably owed to by the fact that they are brighter than the Fluxbeams. Other than that, they have similar features.